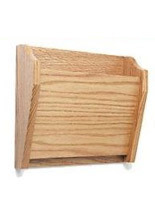 These wood wall file pockets are the perfect organizer for files and folders. 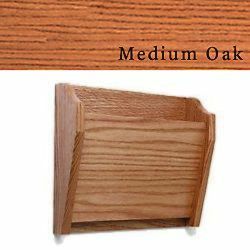 The wooden holder is made from solid oak and stained with a medium color. Each laminate pockets hold 3/4" thick folders and files. The wall mounting brackets are included in each purchase for easy installation. 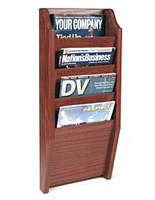 These pokcets are designed to provide ample storage space without cluttering desks or tables. 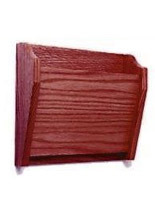 The 14" x 12" folder holder is available in bulk quantities at discounted prices. 14.0" x 78.0" x 4.8"